Nike Sportswear goes all out on this all new summer release of the Air Force 1 Low CMFT PRM. The new look for the Air Force 1 Low is unique in more ways than one, utilizing a metallic-finished Swoosh and a unique embossed upper build. White covers most of the classic shoe, while a multi-color metallic finish hits the Swoosh logos and heel badge. A glittery finish hits the icy sole sitting below, working with hits of hyper punch. 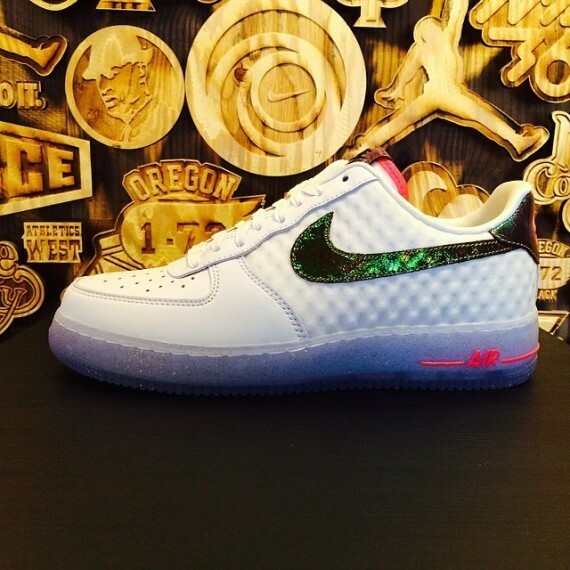 Stay tuned to Sole Collector for further details on the White/Hyper Punch Nike Air Force 1 Low CMFT PRM QS.